Notwithstanding any other provision of the law, prosecution may be had for any and all violations of ss. 831.03–831.033 and for any other criminal violations that may apply. Prosecution for violation of any of the offenses described in ss. 831.03–831.033 shall not be construed to preclude the applicability of any other provision of the law which presently applies or may in the future apply to any transaction that violates ss. 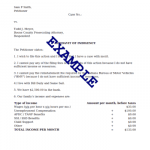 831.03–831.033, unless such provision is inconsistent with the terms of ss. 831.03–831.033.